(By Mandee Pauch) ST. MARCEL DE RICHELIEU, QUE. – Sept. 9, 2016 – Matt Sheppard is no stranger to victory lane as he captured his third Super DIRTcar Series win in a row and his ninth overall Friday night at Le RPM Speedway. “This car has been so good lately. We just unloaded it and it’s been fast all night. We set fast time, won the heat and drew a good starting spot for the feature. When you have a car that good it makes your life pretty easy,” Sheppard said. Keith Flach and Sheppard led the 30-car field to the green. It didn’t take long for Sheppard to jump to an early lead as he pulled away from the field on the initial start. 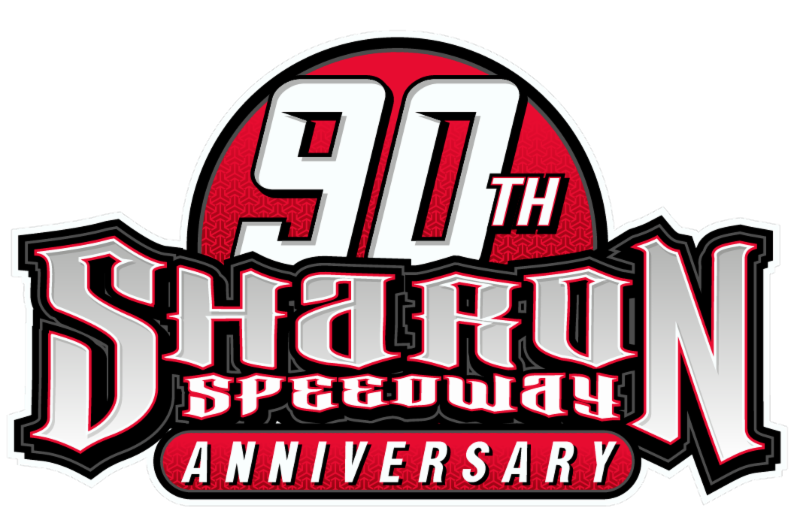 It didn’t take long for Sheppard to catch lapped traffic on the ¼ mile as he caught the back end of the field on lap nine as he showed a comfortable lead over Flach. A lap 21 restart saw Flach drive around the outside of Sheppard to take the top spot back. Heavy lapped traffic got in the way of Flach as Sheppard took advantage and retook the lead off the bottom on lap 37. Third place runner Mike Mahaney was digging on the bottom trying to close the gap between him and Flach. The second caution of the night was brought out on lap 46 due to a spinning Billy Decker in turns one and two. Sheppard led the way at the halfway mark over Flach, Mahaney, Phelps and Bernard. Phelps took advantage of the lap 53 restart as he drove by Mahaney and Flach to capture the runner up spot. Sheppard was running the cushion as Phelps hugged the bottom line. Phelps was soon knocking on Shepard’s doors by lap 57. Tenth place starter Tim Fuller made his way into the top five by lap 60. Fuller slipped under Flach for the third spot on lap 65. Fourteenth starter Steve Bernard found himself into the top five chasing down Fuller in the third spot by lap 73. Phelps and Fuller were slowly closing in on Sheppard in heavy lapped traffic until the third caution flag of the night was thrown on lap 77 forcing the field to close back up once again. Sheppard caught the back of the field on lap 86 as Phelps started closing in. Just as Phelps was getting ready to make the move on Sheppard the fourth caution was brought out on lap 95 as Friesen and Danny Johnson tangled together in turns three and four while both were running in the top ten. The five-lap shootout was a close battle between Sheppard and Phelps as Phelps gave all he could but it was Sheppard who came out on top at the finish line. 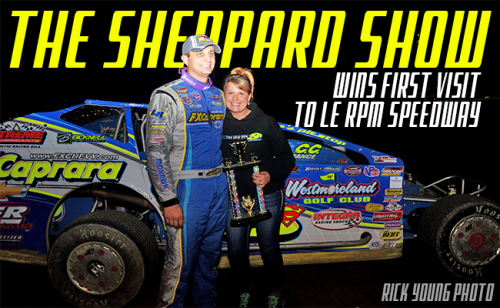 Friday night was the Super DIRTcar Series first ever visit to Le RPM and Sheppard’s ninth series victory of the season in his FX Caprara No. 9s machine..
Race Notes: 34 modifieds attempted to qualify and 30 started the feature. Larry Wight flipped in group time trials. Matt Sheppard received the Pole Position Raceway fast time with a 13.273. Four cautions were brought out during the 100-lapper on laps 15, 46, 77 and 95. The Super DIRTcar Series will head to Autodrome Drummond Saturday, Sept. 10th then to Brewerton Speedway Friday, Sept. 16th then to Weedsport Speedway on Saturday, Sept. 17th. Super DIRTcar Series Statistical Report; Sept. 9, 2016; Le RPM Speedway, Que.